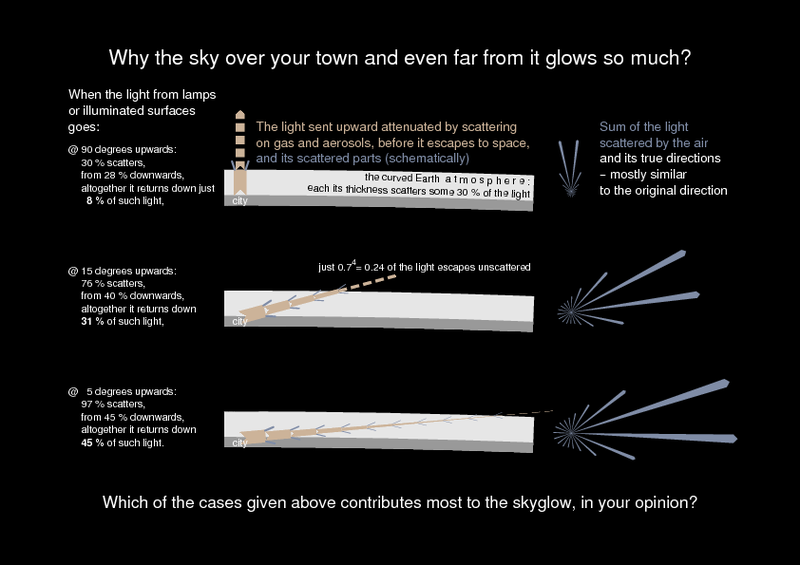 This is a draft graphics explaining where the artificial skyglow comes from. The numbers are valid for ``CIE sky No. 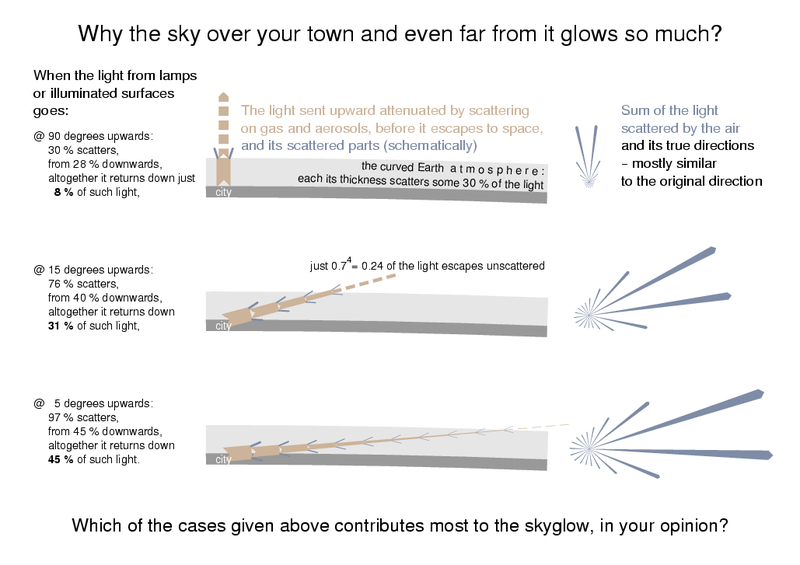 5'' type of scattering (indicatrix function, to be accurate), usual for a clear, but not extremely clear sky, and for ``zenith extinction'' of 0.3 mag. 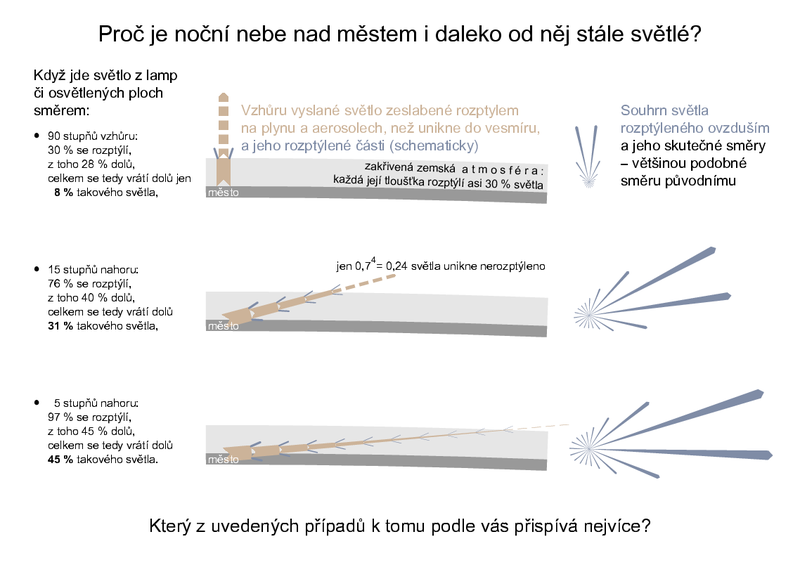 The scheme is written as a Postscript code and is easy to adapt to other languages then Czech and English as well. It could be used to illustrate the topic dealt with in e.g. my lp_quant3 draft, see http://amper.ped.muni.cz/light/drafts/ directory.